Two versions of the anonymous Venezuelan folk song Montilla. The first version is from Christina Pluhar and the L’arpeggiata, singer: Luciana Mancini. The second version is performed by the Chilean group Inti-Illimani Histórico, from their 2006 album titled “Esencial”. 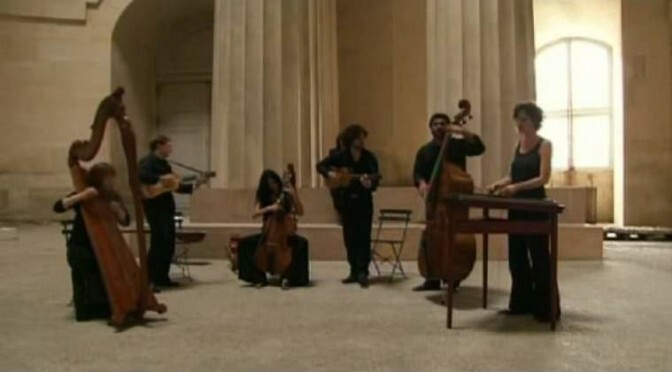 The early music ensemble L’Arpeggiata and Italian tenor Marco Beasley perform XVII century anonymous song La Carpinese, from the 2002 album “La Tarantella”. Dance: Anna Dego. Conductor: Christina Pluhar. Live performance at Versailles, 2004. Conducted by Christina Pluhar, the early music ensemble L’Arpeggiata plays Athanasius Kircher’s Tarantella Napoletana, Tono Hypodorico. A really good rendition of the historic piece, enjoy. Teatro d’Amore – a concert by the Spanish soprano Nuria Rial and the French countertenor Philippe Jaroussky. The European early music ensemble L’Arpeggiata conducted by Christina Pluhar.